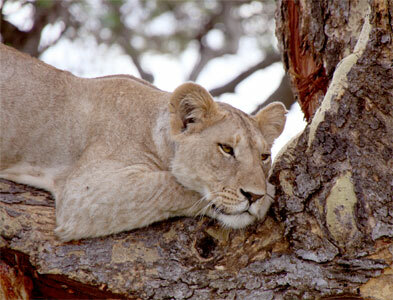 Exotic Animal Advocacy | Eye Pro, Inc. 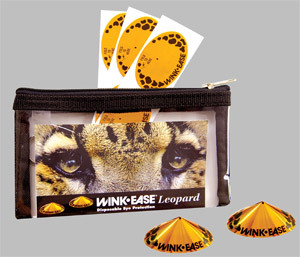 EYE PRO, Inc., world leader in eyewear and makers of WINK-EASE, VIEWkeepers, Fresh-Ease, and Wink-Ease Dark is once again committing to the endangered animal world. EYE PRO has teamed up with Lewa Wildlife Conservancy, a renowned rhino sanctuary since 1995, dedicated and involved in helping the rhino in several ways. 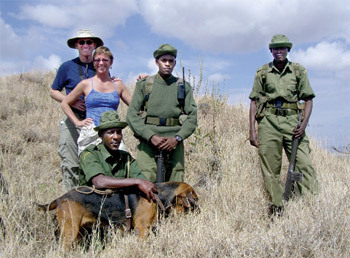 Lewa has guards and bloodhounds walking the grounds with guns to stop poachers. Lewa has also built schools and medical facilities to help the Kenyan Masaii warriors, so they don’t feel they have to kill a rhino to feed their children. The native Africans have suffered greatly in recent years due to drought killing all the grass for their cattle and goats to graze. 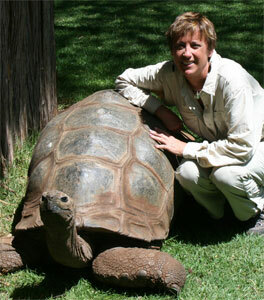 “Steve and I are heading back to Kenya for three weeks on safari,” continued Fishbaugh. 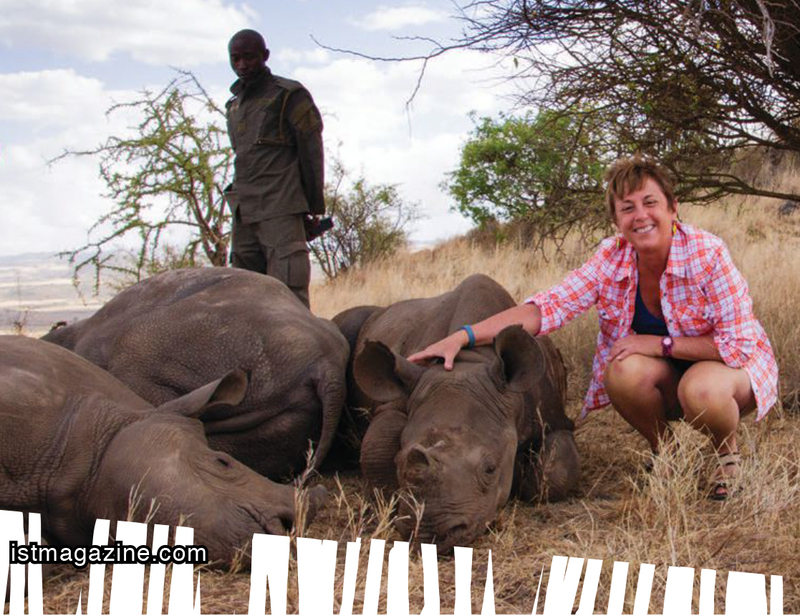 “We will visit the school kids, bringing school and medical supplies, and assist in several rhino tracking projects,” she concluded. 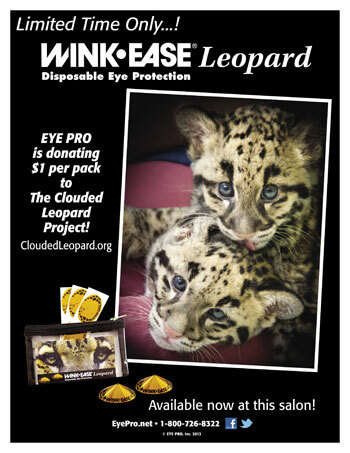 You can learn more about the animal rescue efforts at EyePro.net and at Wink-Ease/EyePro on Facebook. 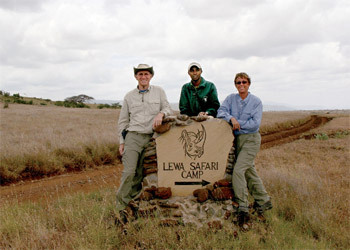 You can also learn more about Lewa at www.lewa.org. 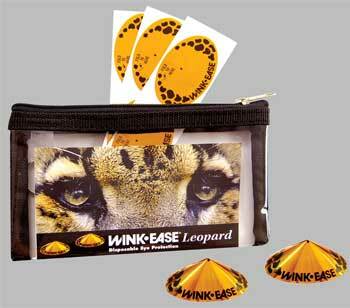 For more information on new Wink-Ease Dark disposable eye protection for red light therapy, WINK-EASE and VIEWkeepers disposable eyewear and Fresh-Ease Refreshing Body Cloths for after tanning, visit EyePro.net or contact EYE PRO at 1-800-726-8322. You can also follow and “like” us on Facebook (Wink-Ease/Eye Pro) for special salon offers and promotions. 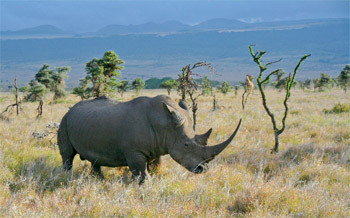 endangered rhinos to sell their horns. And I minded that kids don’t get much food or education. Those are the things I really minded – and want to help change. Come along on my journey (Island Sun Times has kindly removed the bugs and bathroom issues for you! )…Brenda Fishbaugh Read on…. 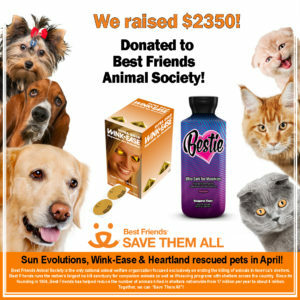 The tanning industry continues to step up and rescue unfortunate animals from owners who did NOT deserve them. In my April column, I featured the stories of three members of the tanning community who personally took in abused dogs. This month, I’d like to feature Heartland Tanning – a leading industry distributor and saviors of two abandoned Pit Bulls. I’d also like to give a huge shout-out to Keli Miller, owner of Solar Tans salon in Greenville, SC who masterminded a fundraising auction to benefit abused animals … and raised $30,000! Keli, you are an inspiration to us all! Read on…. Posted in Exotic Animal Advocacy, Eye Protection Articles, Eye Protection Articles, For Salon Owners | Comments Off on This Industry Loves Dogs! 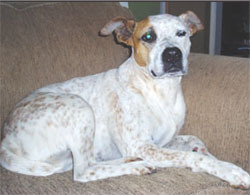 “Petey (a mix of Pit Bull, German Shorthair and others) was born in the mountains of North Carolina and lived near my in-laws, chained to a tree outside of a house trailer. It was a brutal life for him with abusive owners. One summer, my father-in-law found him roadside after a vehicle had hit him, and took him to the local vet. After weeks of recovery, Petey was returned to his owners. The next summer, my father-in-law again found him after he had been shot. The vet removed a 9mm pistol slug from his shoulder and he spent many weeks recuperating with his new family – as he would not be returned to his ‘former owners’. Petey now lives with my family and our four other dogs, loves to be petted and scratched, and spends most of his time warming his body in the sun. He can do that with us for as long as he wants!” Read on…. Posted in Exotic Animal Advocacy, Eye Protection Articles, Eye Protection Articles, For Salon Owners | Comments Off on Working Like Dogs!